Go to the application settings and scroll to the “Backup & Restore” section. Tap on “+”. This will create a current snapshot of all your work clock data including jobs, tags, entries, invoices, statements, company details, if applicable. 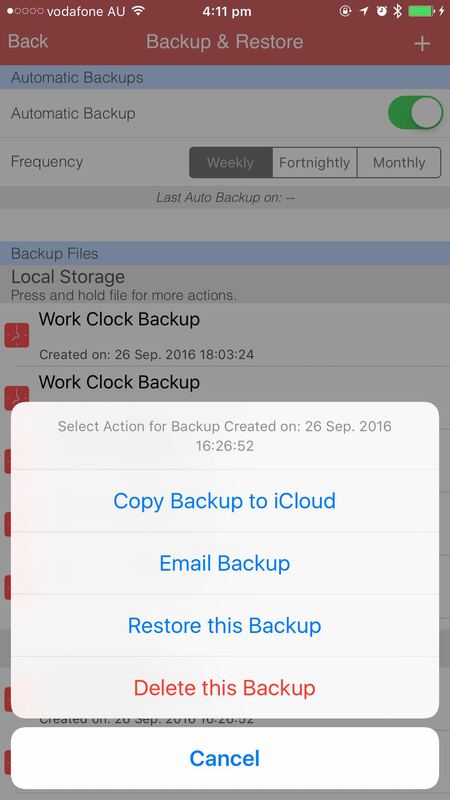 After the backup has been completed, you can access the backup file via iTunes file sharing or upload to iCloud Drive. Swipe left or press and hold on the backup file to bring up the option to delete. 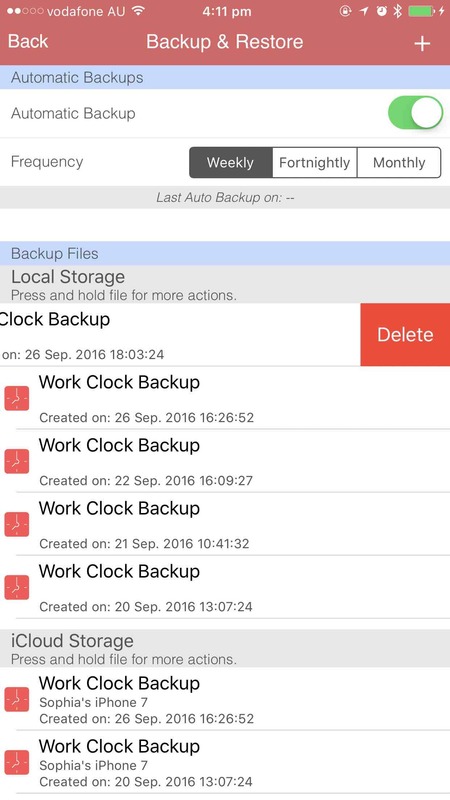 Press and hold on the backup file to bring up the actions menu. Go to the application settings and scroll to the “Backup & Restore” section. Tap on “Restore from a Backup”. Select your backup file and press restore.